PET has been used to assess functional activity of brain regions, both in the resting state and in response to various stimuli. The methods used include use of FDG-PET and radioactive [15O] H2O-PET to study metabolic activity and blood flow, respectively. 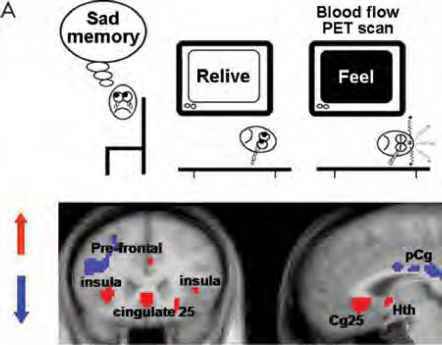 Figure 10-2A shows a picture of increased cerebral blood flow to paralimbic regions during a sad mood induction task (to be described later) using H2O-PET. In contrast, Figure 10-2B shows metabolic activity differences among depressed versus healthy patients using FDG-PET. These modalities have been effectively used to study a variety of mental phenomena and have been of considerable benefit in enhancing our understanding of psychiatric disorders. Of particular interest have been studies using PET to understand the biological basis of schizophrenia (Fujimoto et al. 2007; Lange et al. 2005), bipolar disorder (Post et al. 2003), depression (Mayberg 2003b; Neumeister et al. 2004), substance abuse and craving (Kilts et al. 2004), PTSD (Bremner 2007), ADHD (Schweitzer et al. 2003), and Alzheimer's disease (Small 1996). Most of the studies of psychiatric disorders have shown generally similar patterns of resting blood flow and metabolic abnormalities in using PET. That said, such identified patterns have not yet proven adequately consistent to warrant use of PET as a diagnostic procedure in an individual patient. Notably, only resting-state FDG-PET scanning has undergone repeated sensitivity and specificity testing to be considered useful and reliable for the diagnosis of Alzheimer's disease in patients with progressive cognitive disturbance and presumed dementia (Silverman et al. 2002). Nonetheless, research studies using these methods have provided considerable new insights into disease pathophysiology as well as mechanisms mediating treatment response (Erritzoe et al. 2003; Evans et al. 2006; Mayberg 2003a; Roffman et al. 2005). FIGURE 10-2. (A) Task-induced increased cerebral blood flow using H2O-PET. (B) FDG-PET resting-state contrasts among depressed patients versus healthy control subjects. Copyright © American Psychiatric Publishing, Inc., or American Psychiatric Association, unless otherwise indicated in figure legend. All rights reserved. FDG = fluorodeoxyglucose; PET = positron emission tomography; Cg25 = subgenual cingulate; pCg = posterior cingulate; Hth = hypothalamus. Source. (A) Adapted from Mayberg HS, Liotti M, Brannan SK, et al. : "Reciprocal Limbic-Cortical Function and Negative Mood: Converging PET Findings in Depression and Normal Sadness." American Journal of Psychiatry 156:675-682, 1999. 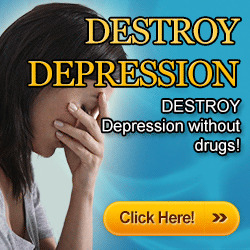 Copyright 1999, American Psychiatric Association. Used with permission. (B) Image courtesy of Helen Mayberg, M.D.